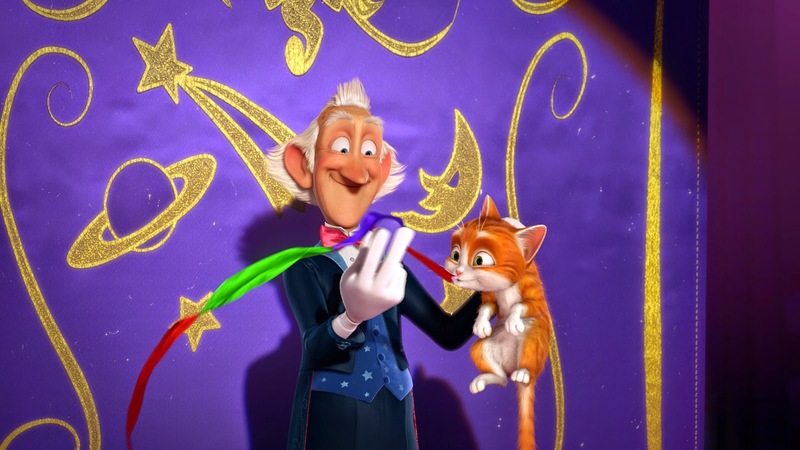 “The House of Magic,” a Belgian-French-American computer-animated fantasy-comedy film, produced by avant-garde production Anton Capital Entertainment and directed by Ben Stassen and Jeremy Degruson, focuses on an abandoned young cat named Thunder who seeks shelter in the home of an old, retired magician with his automatons and gizmos. Seeking shelter from a storm, abandoned young cat Thunder sneaks into a mysterious mansion owned by retired magician Lawrence, aka “The Illustrious Lorenzo”. Lawrence shares his fairy-tale world with many animals and a dazzling array of automatons and gizmos capable of whipping up breakfast while rolling out a spectacular song-and-dance routine. He soon makes Thunder feel welcome, but Jack the rabbit and Maggie the mouse start plotting to get him kicked out. When Lawrence ends up in the hospital, his nephew tries to trick him into selling the house. But its ragtag inhabitants develop a spooky strategy to defend their home. They turn their house into a haunted mansion, using Thunder as their secret weapon. Director Ben Stassen shares that the movie is based on an attraction film featured around a decade ago. An attraction film is a 4D film lasting 10-15 minutes. “After “Sammy’s Adventures” and “Sammy 2,” we were looking for ideas for a feature-length movie and we thought this would be a good one to turn into such a film. Of course, it was a short and we had to turn it into a real story. In fact, the first 10 minutes at the start of our film recall certain shots and decors from that attraction made a decade ago. 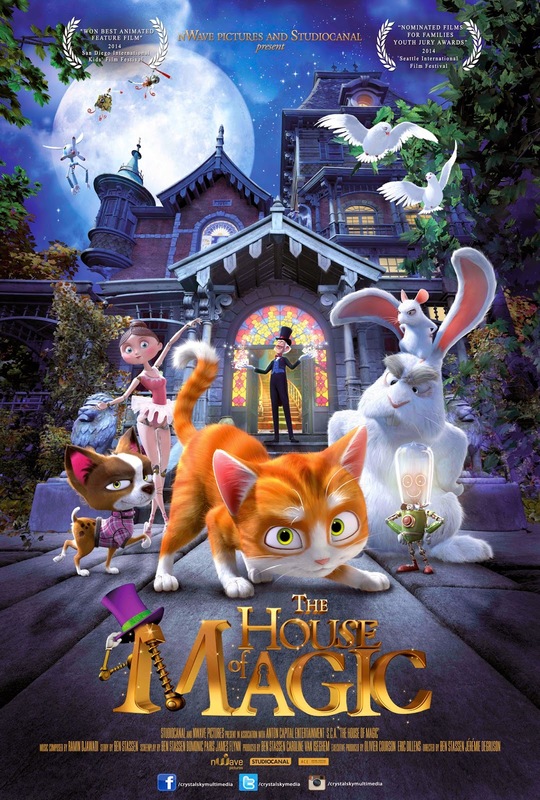 In the beginning, the English title was “The Enchaunted House” (enchanted/ haunted), but the word “magic” fits better with the film because the house belongs to a magician and because the characters use magic. So we preferred to call it THE HOUSE OF MAGIC. And it’s not a scary film at all. Even the scene where the potential buyer for the house ends is scared and leaves the house screaming “the house is haunted!” is completely fun because the audience knows the whole thing has been orchestrated by the characters who live in the house,” explains producer and director Stassen. “There are fifty (50) characters in “The House of Magic” and each one is drawn. Beforehand, there was a lot of research. We tried out different designs and a range of approaches. 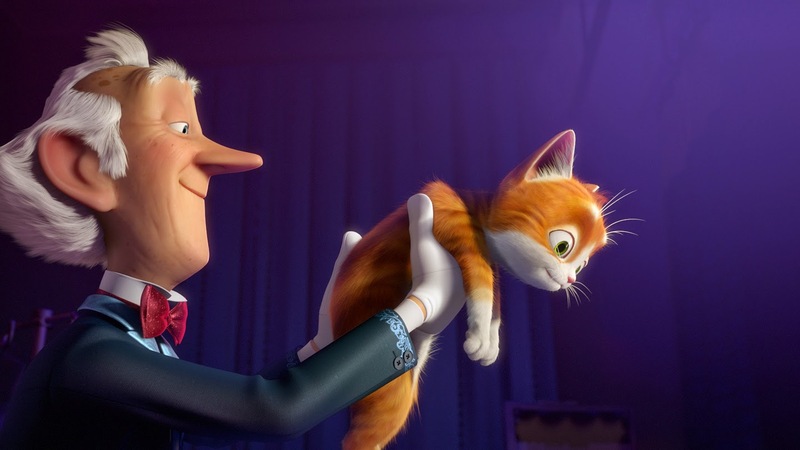 For Thunder, we needed a young cat, somewhere between a kitten and an adult cat, so in terms of proportions, we did different tests to get the effect we wanted,” co-director Jeremie Degruson enthuses. 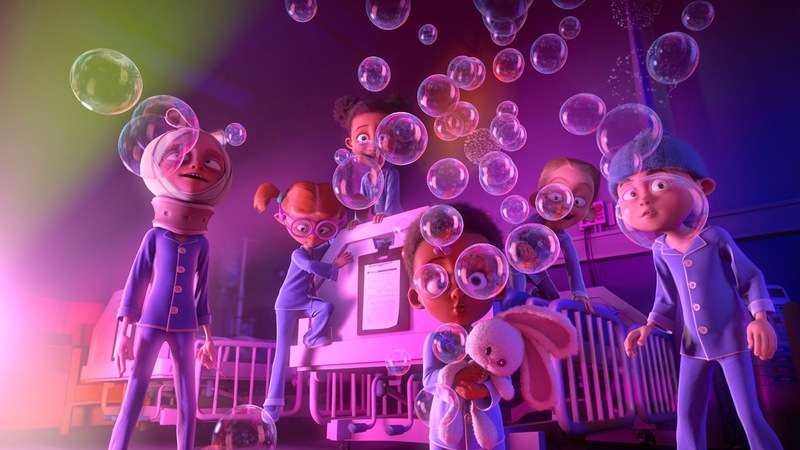 “The House of Magic” opens December 3 in cinemas from Crystalsky Multimedia.